Well what do you know, its being advertised how to get ricin. Just great. No need to focus on the perp or the motive. Low fuel warning. Direct hit / success confirmed. RTB for re-tasking. EHB223 out. Thank you, CNN, for the photo. 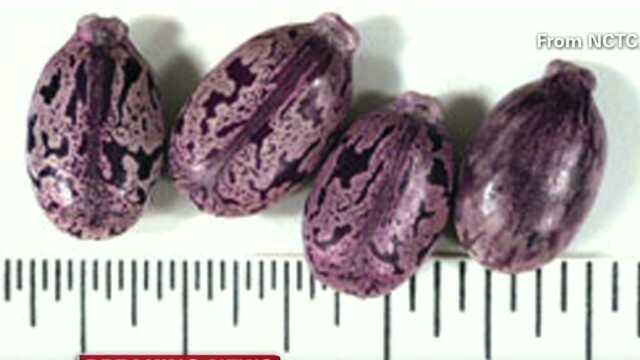 Castor beans are so darkly beautiful that they almost have to be poisonous. Aren't they, though? It seems to me they would make some killer jewelry. This would make some killer jewelry. Sigh. Sorry for the double posting. The first one was blocked.